Abydos is among the most important archaeological sites in Egypt, with remains of structures and tombs from predynastic times into Ptolomaic times, 3,000 years of Egyptian history. Abydos began as a royal necropolis of the pre-dynastic capital Thinis and cult center of the regional god Khentiamentiu. Royal burial was well-established here by the time Egypt was unified under Narmer (or Menes, possibly the same person), founder of the 1st dynasty around 3,100 BCE. The kings of the 1st dynasty and two from the 2nd dynasty were buried here before the capital was moved north to Memphis. The local god Khentiamentiu eventually merged with the god Osiris, king of the dead. Osiris was believed to be buried at Abydos, and the religious significance of Abydos as cult center of Osiris continued after the capital moved. For thousands of years, an annual procession reenacted stories from the life and death of Osiris and drew pilgrims from all over Egypt. A Great temple of Osiris was built, rebuilt, expanded and embellished by successive pharaohs across three millennia. 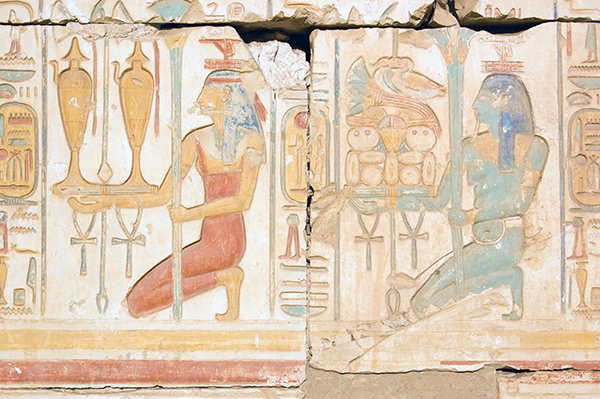 Egyptians with means sought to be buried near Osiris. Short of that, a personal burial monument (cenotaph or stelae) was placed near the tomb of the god. Thousands of these cenotaphs have been found. A number of pharaohs built mortuary temples at Abydos, although entombed elsewhere. 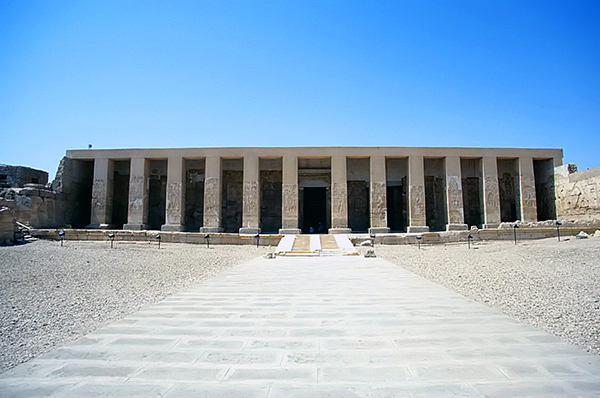 The Temple of Seti I, is one such temple, and the best preserved monument at Abydos today. 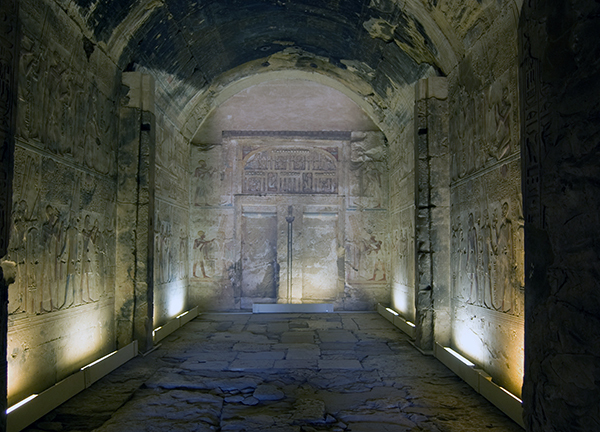 Because nearby accommodations are limited, we usually offer Abydos as a day trip from Luxor, about 3 hours drive one-way. An Abydos visit from Luxor is often combined with a stop at Denderah, which is about midway between. This entry was posted in Egypt by yalla2013. Bookmark the permalink.